Celebrate the traditions of Christmas in Germany through the magic of song and story. This beautifully illustrated hardcover book shares the rich heritage, culture and beliefs of Germany during this delightful season. 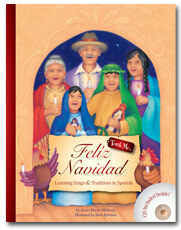 Text includes dual languages for ease of understanding. The title is narrated in German, with songs in German and English. Includes favorite songs of the season: “O Tannenbaum”, “Kling Glöckchen”, “Still, still, still”, “Stille Nacht” and many more. Perfect for the whole family to sing along and learn. 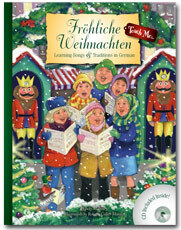 Sing along and learn carols in German! 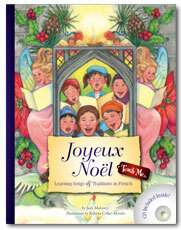 Celebrate the Christmas season while learning your favorite carols in German. 14 favorite Christmas songs performed expertly by professional musicians make it fun for the whole family to join in. Includes full song lyrics.